Hi, Jobo! Tell me a bit about you. Hi Human! I hope you are well. 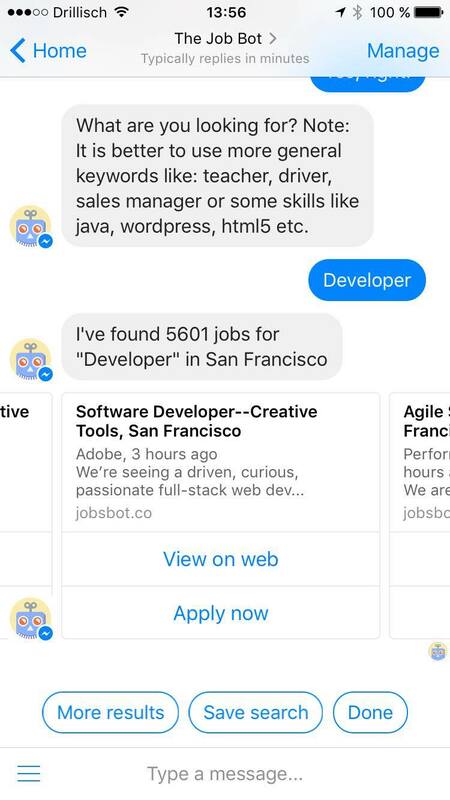 Are you looking for a job? I can help you to find any job worldwide. Cool, and how will I know about new jobs? No worries, I will notify you daily or weekly or even hourly if there are new job offers matching your criteria. Great! And can I also apply for jobs? Sure! 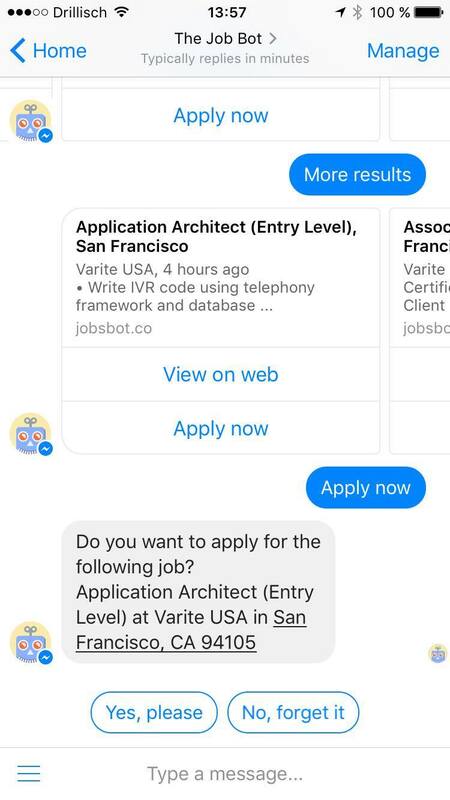 You can either apply directly or via messenger. But first you will need to set up your basic career profile. It will only take a minute. 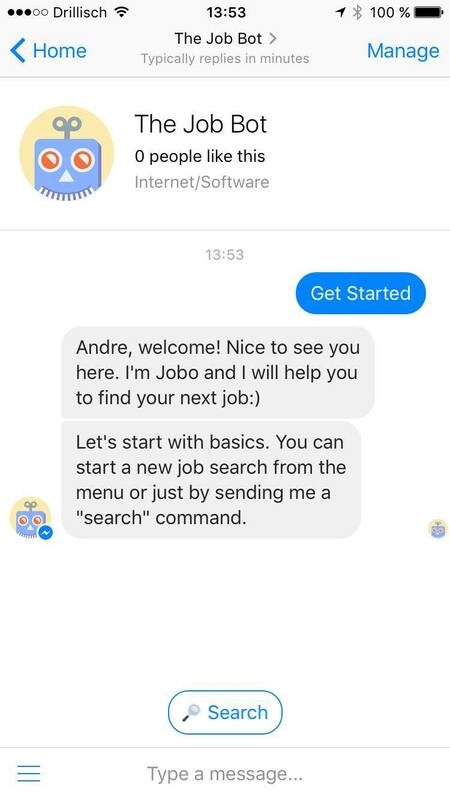 Chat with Jobo on Facebook Messenger now. He's waiting for you!